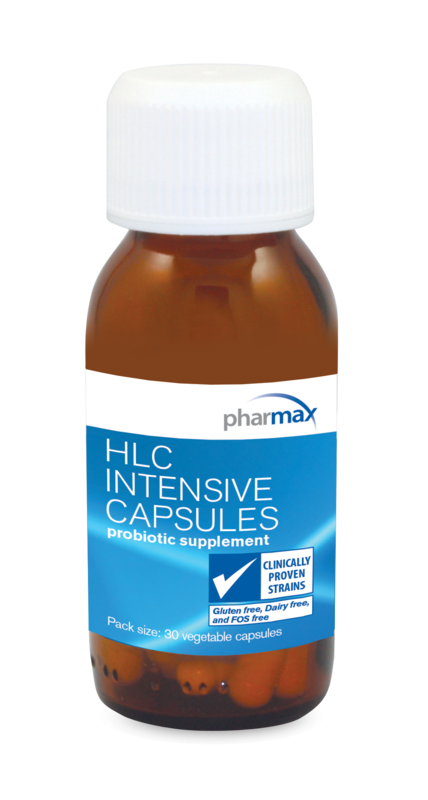 HLC Intensive provides a high dose of probiotics, the healthy bacteria that the body needs to properly digest and absorb nutrients from food and ward off the strains of bacteria that cause infections. 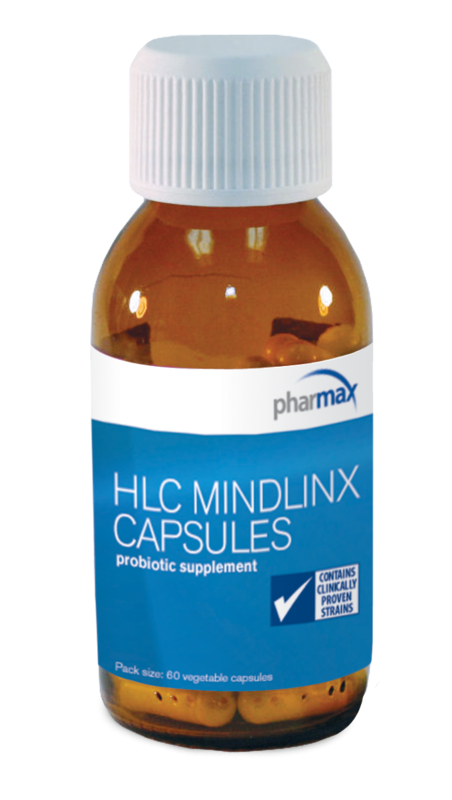 HLC Intensive offers a high dose of probiotics which naturally occur in the digestive tract but can become depleted due to stress, age, illness, and certain medicines. These strains of healthy bacteria aid in the digestive process by helping the body break down foods into nutrients it can easily absorb. Without them the body cannot fully break down foods and problems with indigestion, irregular bowel movements, gas, and bloating. Taking antibiotics, which kill off bacteria and are used to reduce bad bacteria levels in the body can lower the healthy bacteria levels as well because the medicine cannot distinguish between the two types of bacteria and ends up killing off all of them.2 When the healthy bacteria are depleted it leaves room in the body for unhealthy bacteria to grow back in its place, so taking a probiotic to counteract the negative effects of an antibiotic both improves health and help prevents future infections. People often associate bacteria and microorganisms with harmful germs and infections, but in reality there are many strains of microorganisms which help the body function to the best of its ability.1 These microorganisms live both on and inside of our bodies and actually outnumber human cells by 10 to 1. Probiotics work to increase the amounts of these helpful microorganisms in the body, helping them help the body and not allowing any space for bad bacteria to grow to excess. 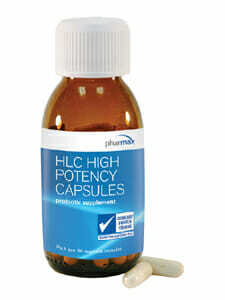 HLC Intensive contains essential probiotics to promote digestive health and help keep good bacteria amounts in the body at healthy levels. 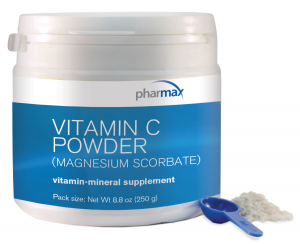 Used with antibiotics, it can help prevent infections and recover from current infections sooner. It also improves digestive function and health so you can get the most nutrients from your foods and have an efficient digestive system. One capsule taken daily with a meal, at least 2-3 hours before or after taking antibiotics, or as professionally directed. Note: Store under refrigeration (below 46 °F). Caution: If you have an immune-compromised condition, do not use. If symptoms of digestive upset occur, worsen or persist beyond three days, discontinue use and consult your healthcare practitioner. 4. Berggren A, Lazou ahrén I, Larsson N, Önning G. Randomised, double-blind and placebo-controlled study using new probiotic lactobacilli for strengthening the body immune defence against viral infections. Eur J Nutr. 2011;50(3):203-10. 5. Niedzielin K, Kordecki H, Birkenfeld B. A controlled, double-blind, randomized study on the efficacy of Lactobacillus plantarum 299V in patients with irritable bowel syndrome. Eur J Gastroenterol Hepatol. 2001;13(10):1143-7.